Back in early 2016, millions of VPN users around the world signed on to their Netflix account and were greeted by a new message they had never seen before. The now-infamous error text (which reads “Whoops, something went wrong…Streaming Error), prevented anyone connected to their VPN service from accessing the Netflix library, something that had been part of the privileges of owning a Netflix account until the Netflix ban went live. But why does Netflix actually ban VPNs, and are there any legal methods for getting around it safely? VPN.com is dedicated to making sure our readers have every tool and technique for handling the Netflix VPN ban safely at their disposal, which is why we’ve created the absolute master guide on everything you need to know about Netflix and VPNs. Why does Netflix ban VPNs? When do you need a VPN for Netflix? How do I unblock Netflix on my computer? How do I unblock the Netflix app? Do these VPN providers unblock other streaming services? We’ve already covered this topic in greater depth in a separate article bearing the same name, but here’s a quick summary of the Netflix ban and why the company is so intent on preventing privacy services from doing what they’re designed to. In the early years of streaming when services like Netflix, Hulu, and YouTube were first gaining their footing, many VPN services saw an opportunity to give their customers a wider range of content to choose from which wasn’t restricted solely on the country they happened to be watching from at the time. See, due to a practice known as “territorial content licensing”, the library of available content on a service like Netflix isn’t universal across every market/country they offer the service in. Instead, it’s chopped up and distributed depending on a variable number of factors, including how many subscribers are currently signed up in a particular country and which distributors own the rights in that specific region. To explain further we’ll reference back to the same example we used in the article above. 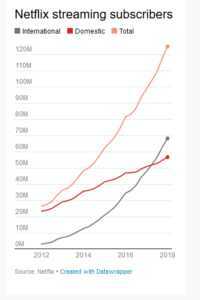 Currently (as of May 2018) Netflix boasts around 56 million subscribers in the United States, while the UK only has about 7.5 million. This means that if Netflix wants to buy the rights to a television show or movie, they need to pay distributors a rate that’s determined by the number of potential users who will have access to it. In the case of the UK this would mean a show like Rick and Morty (which Netflix UK has all three seasons of) would be much cheaper to license than it would in the United States because only 7.5 million people might watch it as opposed to nearly eight times that amount. This means Netflix only purchases why they can afford in particular countries, and blocks the content for users who attempt to connect from anywhere else in the world. Shortly after the VPN ban went live, Netflix began hinting at the possibility of a truce with VPN providers that would come in the form of a “globalized content strategy”. It was mentioned both on an earnings call by CEO of Netflix Reed Hastings, as well as in a Tweet reply found on the company’s Twitter page. But what exactly is global content licensing, and how would it all work? The main idea behind a globalized content strategy would be that rather than Netflix having to negotiate with distributors on a country-by-country basis, instead the company would simply be able to pay a flat rate for a show which would allow them to show it in any market they choose. 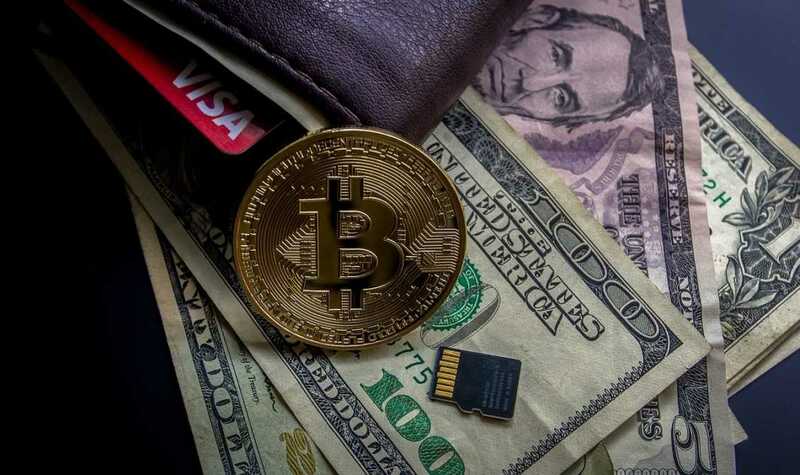 Of course like anything good and pure on the internet, so far the implementation of this strategy looks to remain in the world of dreams rather than reality. 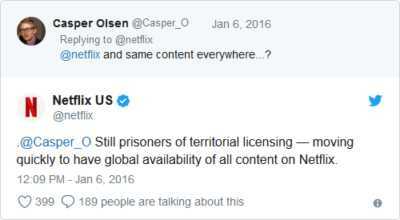 It’s been around two years since Netflix has made a peep on the subject of globalized content licensing, and even that was just a lone tweet response from the company’s social media manager. Instead, the company looks to be employing a new strategy which at least on some level does look to be paying off the way they wanted it to. Rather than trying to pay a high price to get globalized content licenses for shows or movies, instead the company has simply become their own studio juggernaut, and are projected to pump over $8 billion (that’s billion with a “b”) into producing thousands of hours of fully in-house content. This accomplishes two things. First, it prevents the company from having to negotiate with distributors and studios every time they want to renew a contract for content they already own, saving them both the hassle and massive lawyer fees that would crop up every time they sit back down at the table. Second, and more importantly, it means that Netflix fully owns the content they produce front-to-back, no questions asked. This means they can display it freely in every single one of their 200 markets without any studios barking at them for more money, and also that they officially own it in perpetuity. No more negotiations, no more haggling, just total control of the content license for as long as the service is in operation until the end of time. As far as we can tell this is as close as Netflix has gotten to realizing the dream of global content licensing, and as long as the strategy keeps pumping out gems like Stranger Things and Narcos, then you won’t find us complaining anytime soon. Again you can find the bulk of any information you need on this topic in our separate article covering the subject, but we’ll just dip into a quick primer here for anyone who’s got external-linkitis. Although the exact methods that Netflix employs to ban VPNs on their network remains an industry secret, the primary tool that the company utilizes is something known as “IP blacklisting”. This works because when a VPN provider goes live in a particular region, they buy new IP addresses for their subscribers on a server in that country in bulk. These bulk IP purchases make it easy for a VPN provider to consistently block out thousands of new connections for their customer in a single go, but also make it easy for streaming services like Netflix to pick up on which IPs are being used over and over again to connect to their service. Once an IP or block of IPs is detected as being used by multiple users rather than a single household, Netflix’s server infrastructure automatically bans that IP address from being able to stream content on its service. So how do VPNs avoid the Netflix ban? Well, not all of them can. Because buying new IP addresses is expensive (and time-consuming in man hours), for now only larger VPN providers with big staffs and large subscriber counts can afford to keep up in the rat race. As soon as the provider detects one of their blocks has been blacklisted (often through self-submitted reports on behalf of their subscriber base), they’ll simply go out and buy a new block and distribute them to customers who are trying to connect. This cat-and-mouse game has thus far proven successful for the largest providers in the game, but has also left dozens of smaller providers scrambling in their wake. Currently there are no signs that Netflix is in development of more advanced systems that could theoretically use tools like DPI (deep-packet inspection) to predict when traffic is coming from a real IP or a VPN-based IP, so for the time being as long as you’re using a VPN from one of the providers listed below you should be able to stream freely as much as your heart desires! On the whole, there are only a few select cases where you’ll end up needing a VPN for Netflix. Here’s a few of the most popular reasons why a Netflix user might need to turn on their VPN the next time they go to stream. You Travel Often: Probably the most common reason that Netflix users get frustrated by the Netflix VPN ban is due to travelling. Let’s say you live in the United States and are right in the middle of a Breaking Bad binge-watch marathon, but suddenly your boss puts you on a plane for a conference in Tokyo. Once you land in the country and connect to the local WiFi, suddenly you’ll find that the only shows and movies that are available are the ones that Netflix bought specifically to show in Japan (where Breaking Bad isn’t available). What’s a show-junkie to do? In this case, simply switch on the Netflix-compatible VPN installed on your laptop and connect to a server located in the United States (preferably somewhere on the West Coast to cut down on buffering times). This will open up your old library and guarantee that no matter where you’re travelling or how long you’re in another country, you’ll be able to keep up with all your favorite characters for as long as you please. You’re Looking for Content Outside Your Own Market: This is the second reason why a user might want to employ the help of a VPN the next time they connect to Netflix, and it’s a big one. As we mentioned above, aside from in-house content every show and movie that Netflix buys the licenses to is currently divided up in cost and distribution depending on the country you’re connecting from.If a user in the US wants to be able to watch all three seasons of Rick and Morty, they’ll have two options: connect to the UK-version of Netflix where they’re available, or pirate it (given that season 3 is still not available for purchase on Blu-Ray or DVD). This sort of restriction makes it impossible for people who want to pay for their content to do so with the level of freedom that using a VPN with Netflix provides, which is why these services continue to provide a valuable resource to anyone who subscribes. Now that you know everything there is to know about the relationship between Netflix and VPNs, it’s time to choose the VPN provider that’s right for you and your needs. But not all VPNs that work with Netflix are created alike, which is why we’re going to provide a short list of features you should expect your potential VPN service to have straight out of the gate. This is far and away the most important qualification that a VPN provider should meet when they say they can stream Netflix content. No one ever likes to be stuck behind the dreaded buffering wheel when they’re hanging on the edge of their seat during the climax of a show or movie, and the only way you’ll be able to avoid this problem is by going with a provider that provides quick speeds to all of its international customers. Any provider you go with should hit a minimum of 5Mbps on the server that lives in the target country you're trying to watch in. To find out which providers will get you the fastest connection speeds for the best price, head on over to our VPN Speed Test page to learn more. Whether it’s through a chat box or the option to call a direct number, it’s important that your prospective VPN provider offers some kind of way through which you can contact them live. This is because you don’t want to be left waiting hours, even days to get your Netflix stream back up and running in the case of a new IP block getting banned, which is where a live customer support rep can come in handy. If you ever find yourself getting the Netflix proxy error while connected to the service, simply let your VPN provider know via one of the methods of the above. Lets them potentially give you a new server to connect to with a fresh block of IPs that haven’t yet been released to the wider public. Fast and responsive customer service should be a cornerstone of any VPN provider you ultimately decide to go with, and makes the experience better for everyone involved if the staff can quickly adapt to IP bans the minute they happen. This limitation of the number of Netflix markets that are available to VPN services is mainly due to the fact that for now, buying IP blocks in bulk only makes sense financially in the Netflix markets where their subscribers want to watch most often. If the company were to buy a block of IPs in Malaysia for example, only to have that block banned a few days later, they would need to match the number of users in the United States in order for it to make sense on the monetary side of the equation. This means that at least for the foreseeable future the only Netflix libraries you should expect to be able to unblock using a VPN will come from the countries listed above. 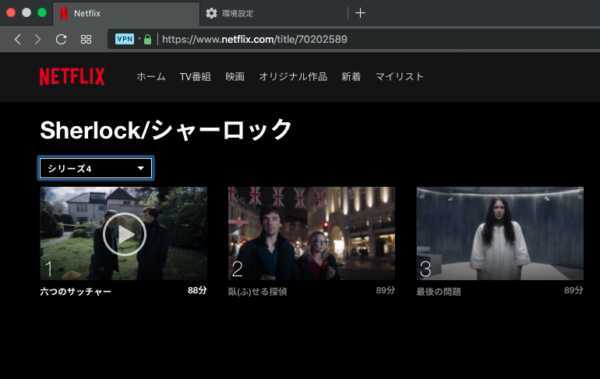 The simplest and most direct method of getting an unblocked Netflix stream running on your network is to install the VPN on a standard computer running Windows, Linux, or macOS and run the VPN application from there. To get started, simply sign up for a subscription to any of the Netflix-ready VPN providers mentioned above, and install them on any devices in the home that you want to unblock Netflix on. Next, connect to the server in the country that has the Netflix library you want to view. Finally, boot up Netflix in your web browser and viola! You should see a full list of all the content located in the country you’re connected to and as long as the provider you chose has an updated IP block you should be able to breeze past the dreaded Netflix proxy error without any problem. Watching from your web browser on a PC or macOS device is one thing, and generally the easiest way for a VPN provider to unblock the Netflix proxy error with minimal effort on your part. That in mind, many users prefer to be able to watch Netflix across a range of devices including tablets, smart TVs, Chromecasts, Rokus, and gaming consoles. What are your options if you want to go this route instead? The best way to ensure that your VPN will unblock Netflix every single device in your home (regardless of platform), is by flashing your home router with custom firmware and configuring it with the information provided by your chosen VPN service. (Editor’s Note: We’d also like to mention that some providers do sell their own pre-configured routers that already have everything you need installed at stock. If your router is old and falling apart, this can be a much more user-friendly alternative to flashing a router’s firmware on your own). This option is far more restrictive than the router install, only because at least in the case of gaming consoles and smart TVs, there are currently no VPN providers in the market which offer applications that can be installed directly on the device itself. 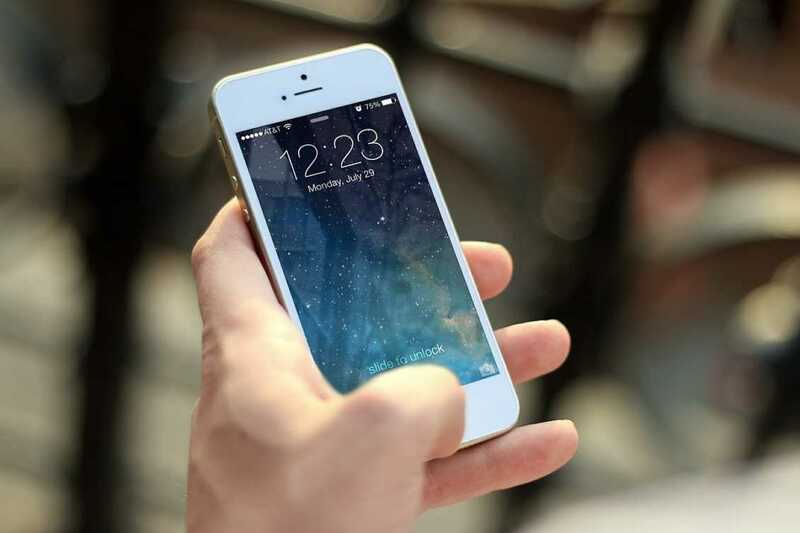 However mobile devices and tablets running either Android or iOS can often work this way, either directly through the VPN provider’s app itself or through an OpenVPN workaround. Many of the top providers offer Netflix-compatible apps on both the Google Play and iTunes App Stores, and simply switching it on on your mobile device and then booting up the Netflix stream will work just the same as it would on your laptop or desktop. After the Netflix VPN ban went into effect in 2016, many major streaming providers soon followed suit, preventing the use of VPNs on their own networks in order to protect their copyright licenses. These include (but aren’t limited to): YouTube, Hulu, HBOGO/HBONow, BBC iPlayer, and Showtime. 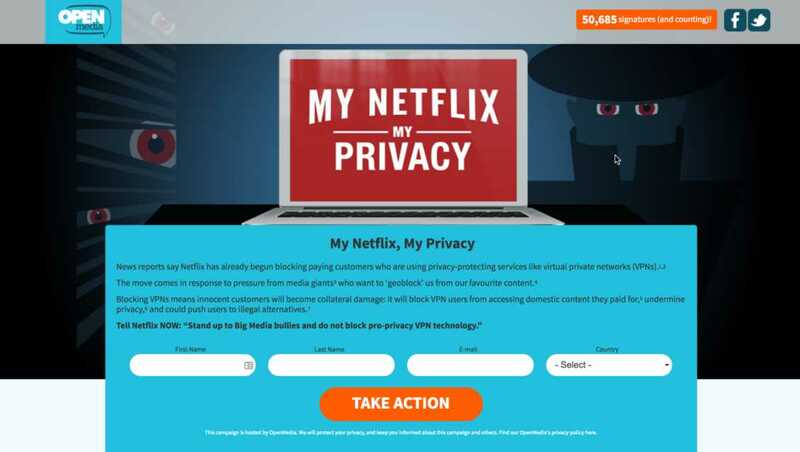 The same technique that a VPN provider uses to circumvent the Netflix VPN block can theoretically be used to get around these streaming services as well, however it all comes down to checking on a case-by-case basis. If you know there is a specific streaming site that you subscribe to that you want unblocked, check the FAQ page of the provider you’re considering to see if they offer unblocking services for your preferred region. If you don’t see anything there regarding the streaming site you want to watch, your next best bet is to contact their customer support staff directly and see what they have to say on the matter. One major issue that many new VPN customers have been running into in recent months are providers who claim to be able to unblock Netflix, but once you actually sign up for the service you find out that the option is only offered in extremely niche markets, or don’t actually unblock at all. This isn’t entirely the fault of the provider to be fair; Netflix is so quick with their IP blacklisting that sometimes all it takes is one bad day for an entire VPN network to lose its unblocking capabilities. That said as we’ve mentioned above the biggest providers are constantly adapting to these blacklist additions, and with them it may only be a day or two before the network is back up and functioning as advertised. That said, regardless of any of these scenarios it’s always important to go with a provider which offers some kind of money-back guarantee. 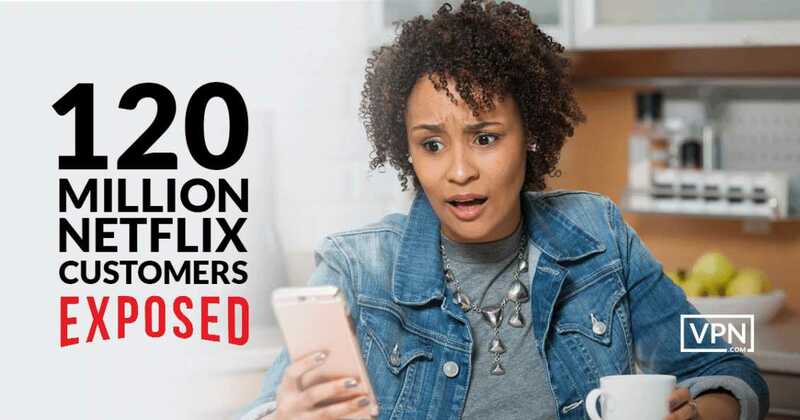 Most on this list offer at least a 30-day refund, though some may be as short as seven days so you’ll want to be sure you test the Netflix functionality as soon as you get everything up and running for the first time. In the coming months VPN.com is planning to integrate a new system which will automatically test the functionality of Netflix-ready VPNs and report back with an up-to-the-minute list of all servers and services which are currently unblocked on the web as you need it. This will make it so that you never have to go through the process of buying and testing a VPN on your own, only to find out it doesn’t actually work the way the company advertised it would. For the time being we recommend checking out our list at the bottom of this article, containing 145 of the VPNs on the market right now which claim to offer some form of Netflix unblocking in one form or another. Now the caveat here is that currently VPN.com doesn’t have the manpower or the resources to individually test whether or not all 145 of these providers can actually back up their own marketing rhetoric, but we hope to be able to change that in the very near future. Stay tuned to VPN.com every day to check in and see once this system is fully implemented and live for you to use from wherever you are in the world! Want to check out more of our Netflix VPN coverage? Check out these links below! What's the Deal With Streaming Services and VPNs? To be clear, VPN.com in no way endorses violating Netflix’s Terms of Service and cautions you to always be smart about how you approach any of the techniques mentioned in the article above. The company has every right to protect their content as they see fit, and this includes the practice of banning VPNs outright. That said, as a paying customer to the service you have rights too, and we believe that includes being able to watch your favorite shows no matter where you travel in the world. Until the utopian dream of globalized content copyright licenses becomes a reality however, the tools mentioned above are currently the only way that anyone will be able to do that without restrictions or outright denials of service altogether. VPN.com believes fully in the rights of the digital consumer, and that anyone with an internet connection deserves to enjoy all the content that’s out there free of the arbitrary restrictions based on nothing more than invisible lines drawn in the proverbial sand. Finally, I’d like to leave you with a letter from our CEO and founder Michael Gargiulo. It outlines several potential solutions to the problem of Netflix and VPNs, and proposes a new path forward that could keep both sides of the coin happy without hurting anyone’s bottom line. My name is Michael Gargiulo. I am 26 and from Atlanta, Georgia. As a Netflix subscriber, I am writing you to express my frustration with your company’s stance on VPN access. When I travel through airports and hotels, I want to enjoy my Netflix subscription with peace of mind. Connecting to public Wi-Fi is something millions of your customers do, but hackers know your subscribers are perfect targets because Netflix has fully banned secure access via VPNs. As I am sure you and your senior engineers know, the amount of daily cyber attacks against your 120 million subscribers will continue growing at an exponential rate as long as there are holes to be exploited. Your VPN policy forces us to pick between our privacy and our entertainment. Since the VPN ban was enforced, I refuse to watch Netflix when I am connected to public Wi-Fi. Exposing my identity and data to hackers is not worth it to me, even when I want to watch my shows. I am writing you today because I have a three suggestions that can turn this major privacy and security risk into new revenue opportunities for Netflix, your shareholders and content creators." I understand you offer different content libraries to different countries. By providing additional country packages, you give users the right to pick which countries they want access to and charge accordingly. Subscribers would pay additional fees per country, and then VPN access would no longer interfere with international licensing concerns that drove the ban to begin with. Most Netflix subscribers who use a VPN seek access to the US Netflix library. With this option, you would allow all Netflix titles to be accessed anywhere in the world. If a subscriber wants to access content outside their home country, they would pay an additional fee to have access to this content and VPN access to unlicensed content would no longer be an issue. There are millions of Netflix subscribers who use a VPN. All 120 million need a VPN but a smaller portion uses them. With this option, you would charge an additional monthly fee for those accessing Netflix via a VPN. You would need to restrict content access to their verified billing country however a combination of this and either of the options above would result in a number of additional revenue streams. Given the state of cybersecurity and criminal activity on the internet, your decision to ban VPNs will be a huge liability for Netflix, your customer database that includes Netflix usernames, passwords, credit cards as well as the identities of those who use Wi-Fi to connect to your service over the decade. Furthermore, your comments about VPN use and the “really inconsequential” VPN community in the past were completely misguided. This isn’t about the value of “VPN users” to your bottom line; it's about ensuring that the people paying you have a safe and secure way to use your service. Having neglectful policies that guarantee the opposite will only become more maliciously targeted and will continue to put every single Netflix subscriber at serious risk of life-changing cyber crimes for decades to come. After reading this letter and the ideas above, Mr. Hastings, I hope you understand that there are many options available to you that would allow Netflix to remove the VPN ban currently in place and generate more profits for Netflix to distribute. Most importantly, you would restore the basic right to securely access the service we pay for. Want to take your stand against the Netflix Ban? Sign the Netflix VPN petition from our friends at OpenMedia - More than 50,000 signatures have already been collected. Take your stand with us against the Netflix VPN ban today! Need a VPN that works with Netflix?